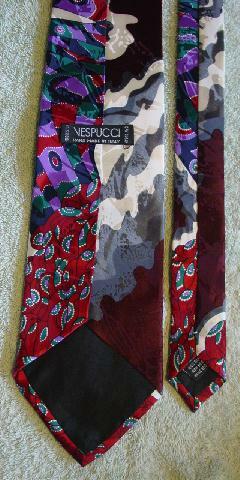 This handmade in Italy 100% silk tie and handrolled border pocket square are by Vespucci. 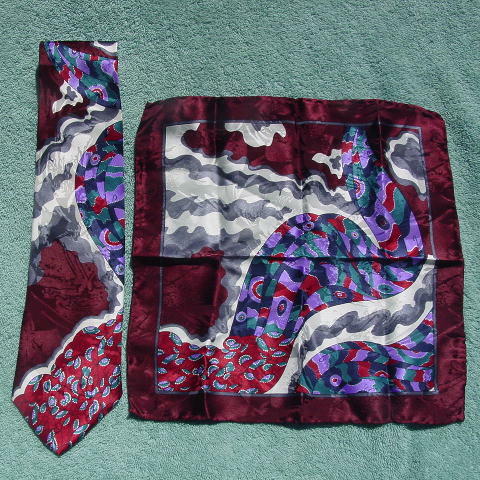 They were originally purchased in 1994. 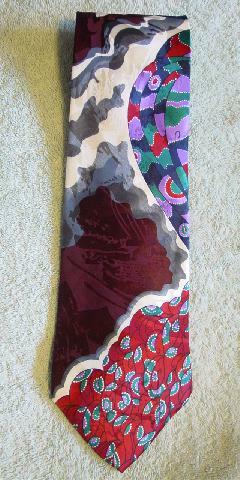 They have a tone-on-tone design pattern in red, burgundy, gray, light purple, teal, black, and white. They have a nice sheen to them. 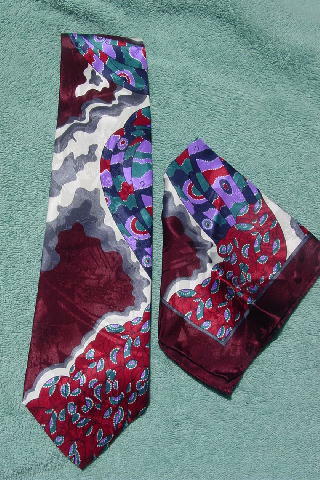 pocket square 12 3/8" by 12"